She studied liberal arts at Phoenix College. One of her first professional music gigs was singing back-up for Tonya Davis. She received the title of Miss Galaxy in 1990. She grew up in Dayton, Ohio where she performed at her local church. She was married to Frank Martin Jr. from 2004 until 2011. She had a brief marriage to Malik Byrd which lasted a year in the early 90's. In 2015, she became engaged Marcus Matthews, who is a personal trainer. 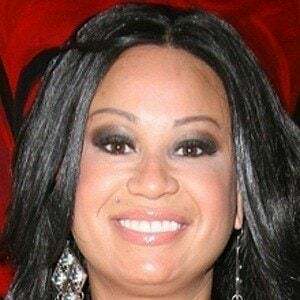 She has performed at private parties for Aretha Franklin.